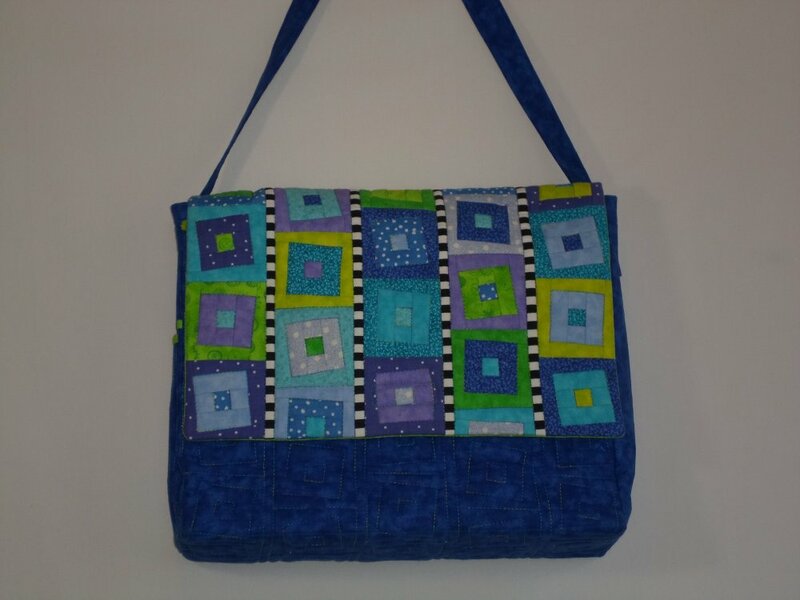 Tipsy little blocks square dance across the flap of this easy 12"x10" shoulder bag and repeat in the design quilted on the front and back (templates included). Features: easy-access padded cell phone pouch, zippered inner pocket, zippered outer pocket, file pockets and more. Sew one in bright colors and one in neutrals to compliment your entire wardrobe! KIT includes pattern and fabrics for bag and lining. Kit does not include notions or batting. KIT available in bright colors (blues/greens) and neutrals (grey/beige). Specify kit color, blues/greens or grey/beige. THREAD available to quilt each kit; specify color.